Hailing from the famed Ruby deposits of Myanmar, otherwise known as Burma, this Ruby is a shining example of the superior burmese rubies. This 6.45 carat “pigeons blood” colored ruby centers the 18k white gold ring and is framed by 1.79 carats of round-brilliant cut diamonds. As this ruby is “unheated”, which means it is free from the color enhancement typically found in rubies of this exceptionally vivid color, it is befitting of its name. Many rubies pass the deposits of Myanmar every year, yet this one is one of the most exceptional ones that can be found. 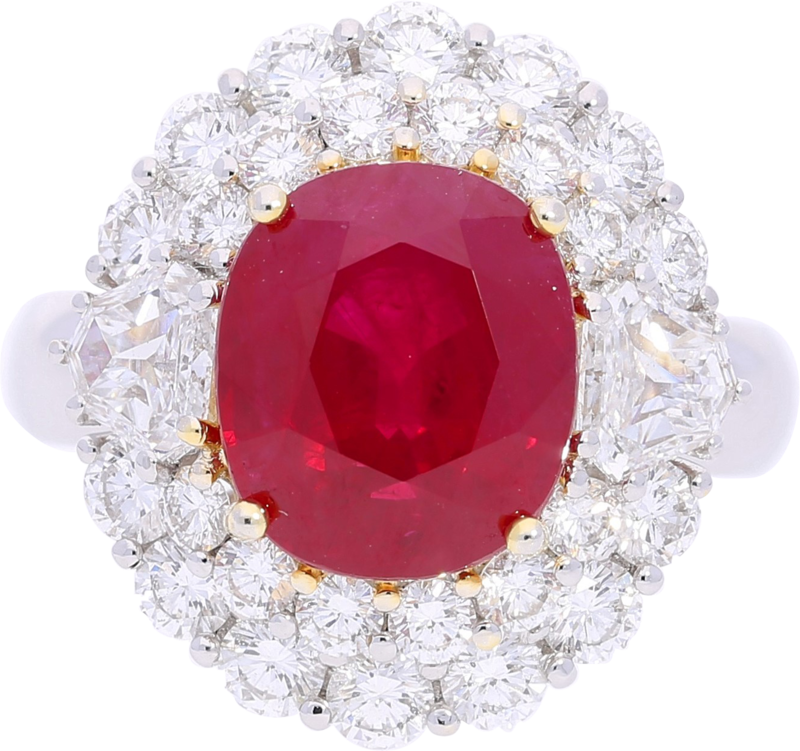 This ring is accompanied by an SSEF report, which states that the ruby is of Burmese origin and of no “heat”.